Southern hemisphere readers are recommended to purchase print copies of these novels directly through this website to avoid international charges and high postal rates. Why does a stranger hold the key to unlocking Katie’s family secrets? In turmoil after her grandmother’s death, Katie must identify the people in Granna’s cherished photographs and reveal generations of secrets before she can claim her inheritance. She meets Jared who stirs her interest, but she doesn’t want an affair – but then she discovers he holds the key to discovering her past. 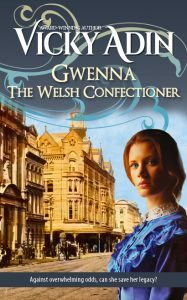 Her Pa is dead and Gwenna has no idea how to bring his dreams for the family confectionery business to life – not while living with her stepbrother. Love offers her a way out, but when disasters strike Gwenna is left to pick up the pieces. 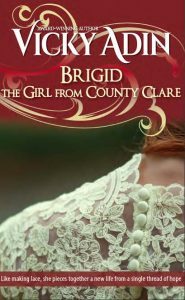 18-year-old Brigid is a lacemaker who flees poverty and starvation in Ireland and goes to Australia in search of a better life. But life is not always kind, until Brigid finds support from an unusual source. She moves to New Zealand and her new life offers hope – until she encounters the man who seeks her downfall. 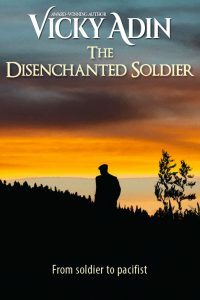 The Disenchanted Soldier (retitled from Daniel) follows the life of a New Zealand soldier, pioneer, patriarch and pacifist during New Zealand’s turbulent past. Libby wanted to know more about the man who looked down at her from the photograph on the wall. His story was more than she bargained for. Other BUY NOWoptions or READ MORE. 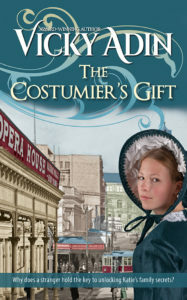 A soul-searching novel concerning two women: Emma Wade, a young journalist and Charlotte Day, an ageing and reclusive author. Both have suffered hardships and trust no one. They hide behind a façade. They need healing. Will they find a way forward by sharing their pain? 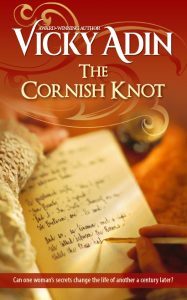 An engaging story of Megan, a widow who unexpectedly receives her great-grandmother’s journal written a hundred years earlier. 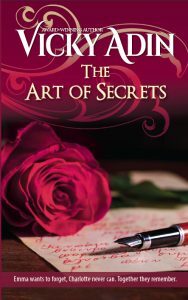 She embarks on a journey to trace her family tree and uncover secrets, only to find herself immersed in the world of art. Set in Cornwall, Italy & NZ. My thanks also to Kura Carpenter DesignandAM Publishing NZfor my new look covers.